The Cemetery is a perfect place to meet movie directors, and Olga Zghenti is no execption. "Your'e in for a surprice with Dagny Juel", she says. place was not by accident, but because Dagny Juels final resting place is on the Kukia Cemetery. My mission was to find both Hamsuns Hotel London, and Dagny Juells grave. But that was only what I had in mind before the meeting. Things got even more exciting than I had hoped for! Being a great admirer of Knut Hamsun. Olga Zhgenti decided to made a film about him. That I did not know! 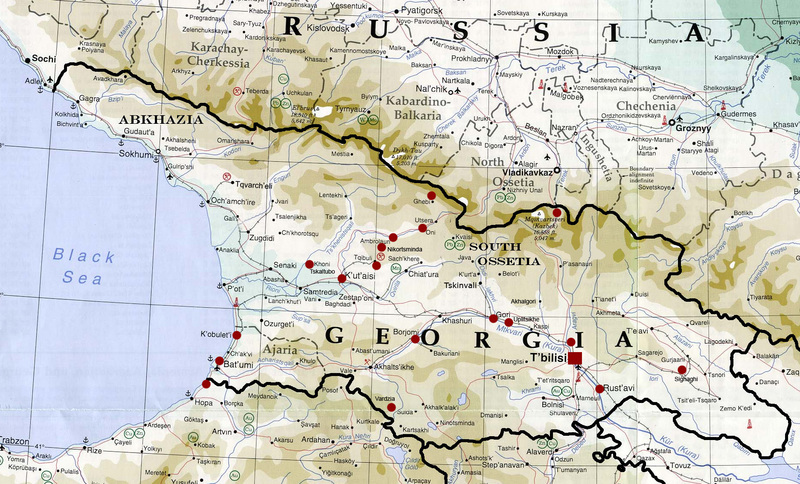 A Georgian view on Hamsun? She kindly invited us home to see the film, still in the pre production phase. She liges in a teasteful and huge Tbilisi apartement, and if you look around, you'll notice a picture with her and Jeremy Irons. In her albums there's a Hollywood presence of a certain magnitude. In both her fathers and Hamsuns footsteps. Olga is the daughter of the famous deceased Georgian screenwriter Suliko Zghenti. The pressure of filling her fathers shoes must have been tremendous, this being her first documentary. But she has succeeded, and made a fascinating film with an untraditional storytelling. It is a film to look for in the cinemas when released in september-october 2006. During her research she has been closely in contact with Ingar Sletten Kolloen, the Norwegian well reputed Hamsun biographer, and had a lot of contact with Hamsun Society both in Norway, Denmark and Germany. 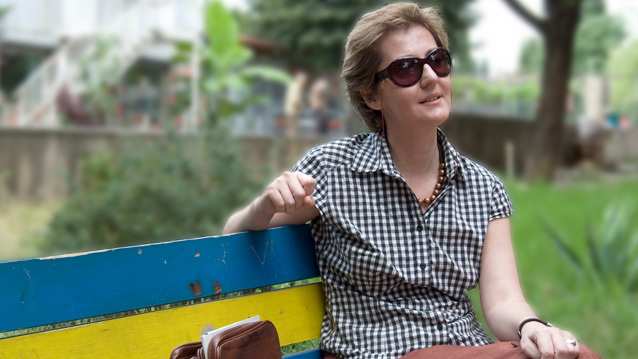 Zhghenti is the chairman of the Hamsun Society in Caucasus, and has visited Norway several times, participating in the Hamsundagene and showing her film on other occations. A new theory about Dagny Juels death in Tbilisi. In 1901 a 35 yrs old Norwegian artist and femme fatale Dagny Juel was killed and buried in Tbilisi. When I ask Olga about Dagny’s destiny she tells me that she has a new theory about her death. Dagny Juel, known as a Norwegian femme-fatale married to the Polish writer Stanislaw Przybyzewska was shot in her hotel room in Tbilisi. Presumably by an admirer who later shot himself. But Olga says we’re in for a surprise. She won’t tell us any more at the moment. The script is not finished yet. Consultant for the Norwegian Broadcasting. 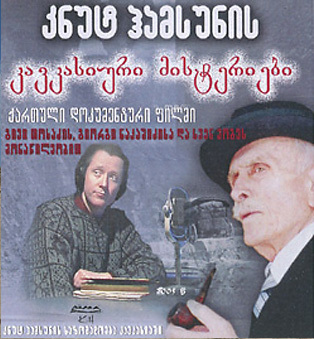 Her work with famous dead Norwegians in Georgia has led to cooperation with the Norwegian Broadcasting (NRK) in making a documentary about famous Norwegians in Georgia. So we have to wait until that project is finished, scheduled to air in 2008, before she reveals the secret about Dagny Juels mysterious death. The mix of essay and documentary leads us into a great minds rediscovery of his childhood in Northern Norway in his meeting with Caucasus, and the Caucasian culture. A Norwegian Nobel price winner with no streets in Norway named after him and with the label "traitor" due to his favorable attitude to the Germans during the WW2. There has been a discussion about Hamsuns "treason" going on for 60 years in Norway, but Zhgenti lets the dark parts of Hamsuns life alone and sees passed that. How can such a great man be a traitor, she asks but only partly answers. The director presents a global perspective on Hamsun rather than a Georgian view. Zgenthi shows us the global and searching Hamsun. The film leaps back and forth through Hamsuns life in retrospective. Hamsun is played by a Georgian actor which resembles him amazingly! During the film the comments in "I" form is read by a Norwegian living in Tbilisi. On both Georgian and Norwegian! A masterful and surprisingly efficient grip! Zhgenti portrays Hamsun as he travels through his life. From his childhood, growing up under the tack sharp, sky climbing mountains in the Northern Norway, to his travel to America with it's skyscrapers, and finally to the monumental mountains of Caucasus. Then finally Hamsun senses what he has been searching continents for.